She’s not the prettiest bike around, but it’s hard to argue with the early impressions. It’s easy to be a skeptic. 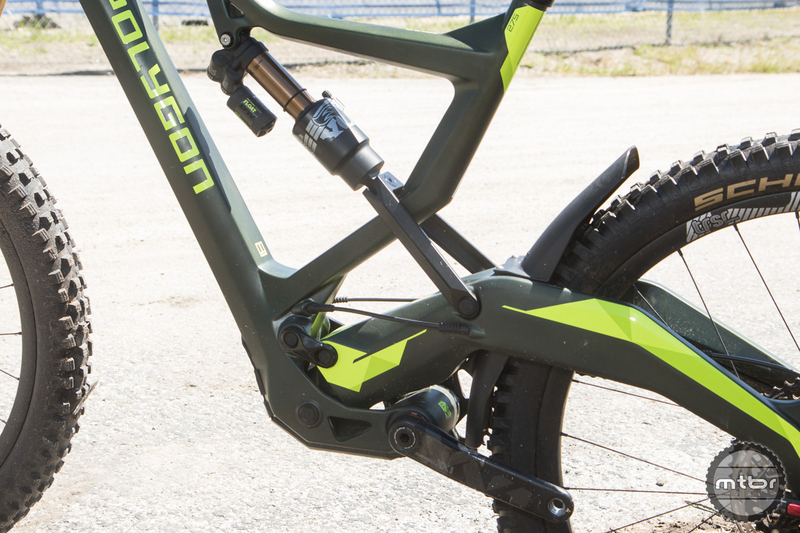 With full carbon frame, 180mm of travel, 27.5” wheels, a banana-esque swingarm, and what’s being billed as a revolutionary suspension system, the new Polygon Square One is being referred to as the mythical quiver killer. And any time you see the words “quiver” and “killer” together, you should be skeptical. 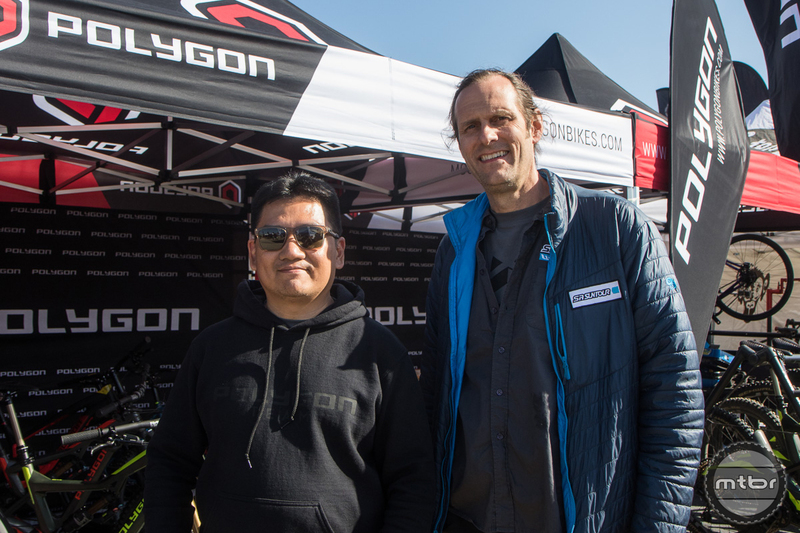 Since Polygon brought a fleet of Square One demo bikes to Sea Otter, I visited them to get a closer look and get the bike out on the dirt to see if it lives up to the hype. The short answer is… maybe. 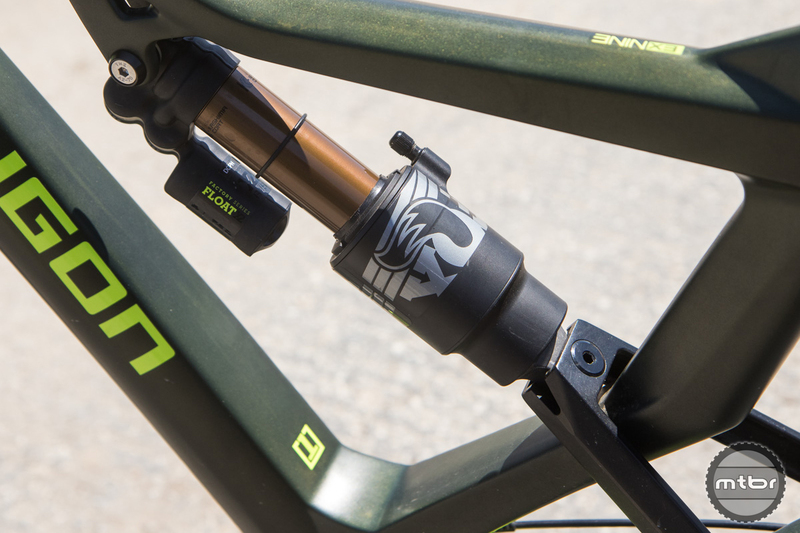 An 180mm travel quiver-killer bike sounds nuts, right? 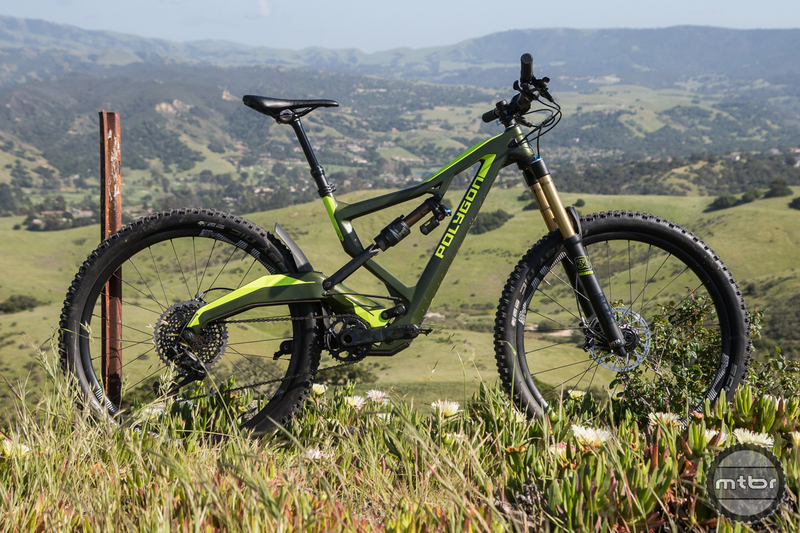 That much suspension puts the bike solidly in downhill / freeride territory. There’s just no way a bike with that much travel can be efficient enough for normal trail pedaling. That’s what traditional thinking and the suspension systems we’re used to would have us believe, anyway. But what if you could have it all? Can you say elevated chainstay. Enter engineer Darrell Voss of Nailed and his new R3act suspension system. Voss told me he designs “terrain tracking systems,” not suspension systems, a very important distinction. 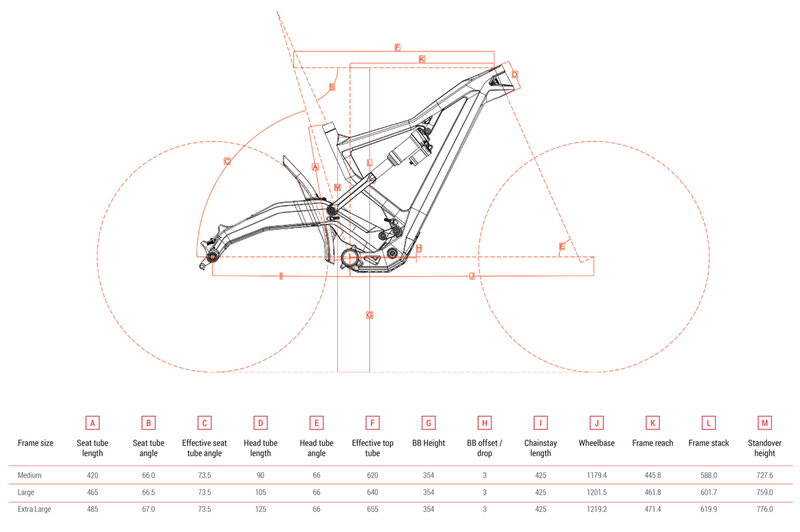 The claim is, because of the R3act suspension, the 180mm Polygon Square One actually pedals like a 120mm bike. And my (limited) experience on the bike didn’t contradict that claim in any way. The spec on the Square One EX 9 I rode was top shelf, SRAM Eagle XX1 drivetrain, 2018 Fox 36 fork, Fox Factory Float X2 rear shock, and E13 TRS R carbon wheels. 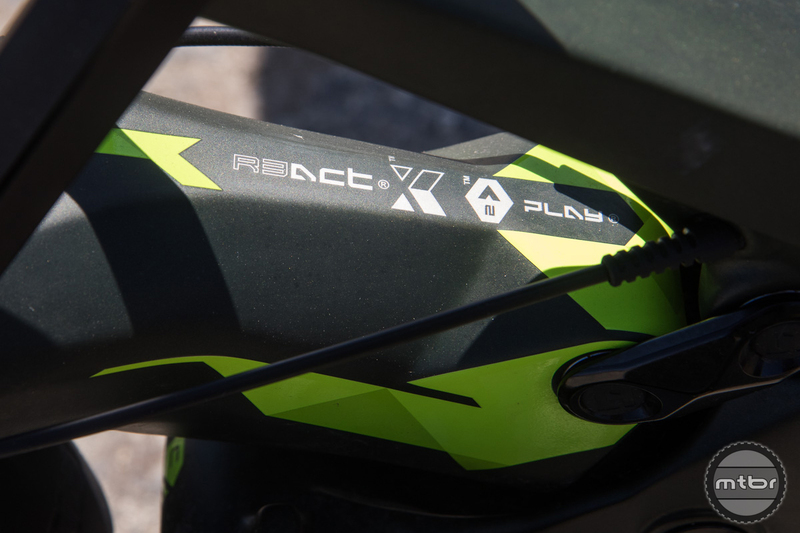 Still, the bike pedaled much lighter than its 29.3 pounds (claimed weight for a medium top-spec Polygon Square One EX-Nine). Even more impressive was the climbing traction. I pedaled up one excessively steep, loose bit of “trail” that I normally would have shamelessly pushed up and made it to the top with minimal effort. The rear wheel never slipped, I wasn’t fighting to keep the front end down in spite of the 65.5-degree head angle (the geometry table says the head angle is 66-degrees but in person they told me it was 65.5), and I didn’t feel like my heart was going to explode when I reached the top. It kind of looks like something out of a science fiction movie. Because of the limited terrain at the Sea Otter venue (read: tame), I wasn’t really able to test the downhill performance of the bike. The area trails are primarily smooth and flowy with almost no rocks and just a few water bar lips to boost. There’s really nothing worthy of a 180mm travel bike. 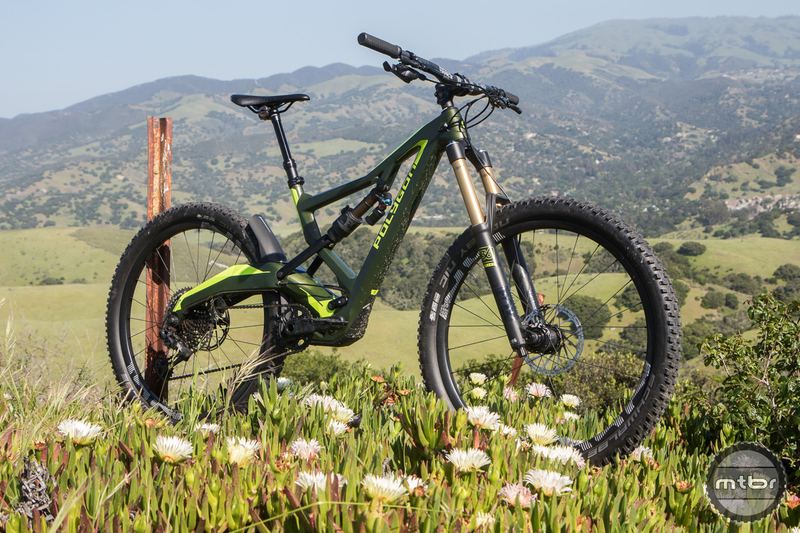 Even the pro downhill racers at Sea Otter are mostly on 160mm trail bikes because of that course’s less-than-technical nature. I did boost a couple of water bars and the landings felt very plush and planted. But to know for sure how the bike performs, I’d need to spend some more time on it on my home trails around Salt Lake City, or on some chunky Moab slickrock where I could really give that 180mm of travel the workout it deserves. How does the R3act suspension work? Magic, probably. The bike pedals so well, Voss very well may be the Devil. I’m honestly having a hard time understanding exactly how the R3act suspension works. 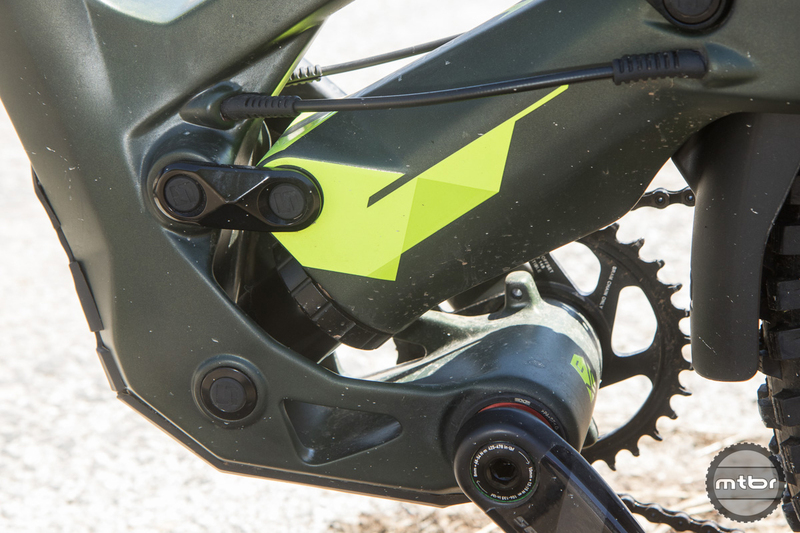 Physically, there are two links between the swingarm and the main triangle, along with a hidden shaft inside the frame that helps equalize and counter-balance pedal and suspension forces. The result is a bike that pedals much better than it has any right to and tracks over obstacles with less effort. 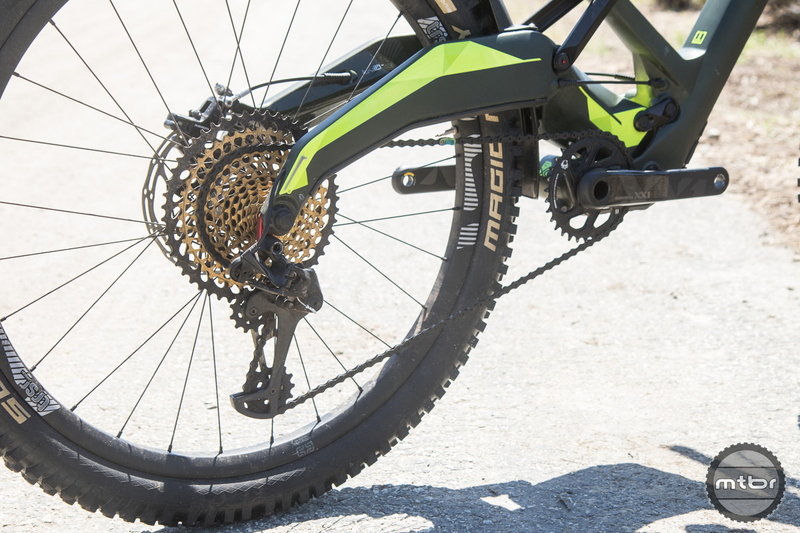 For a more technical description of the R3act suspension, check out Mtbr’s earlier Polygon Square One announcement post and her first ride review of the new Marin Wolf Ridge, which shares the same R3act suspension system. That’s 180mm of trail taming fun — that also climbs really damn well. I was pretty excited after I rode the bike and told a bunch of people about it. Most them replied with some sort of criticism about how the bike looked. Personally, I couldn’t care less. I don’t see my bike while I’m riding it and if it feels beautiful, it is beautiful. The ride is all that matters. Other journalists who’ve ridden the Square One are also sharing positive reactions to the suspension performance. It really does pedal like a much smaller bike. I love the idea of a trail bike that I could ride on my local singletrack and take to Moab to ride the stupid lines on Porcupine Rim. It’s easy and even proper to be skeptical about a 180mm quiver killer. But if there really is no penalty, why not? 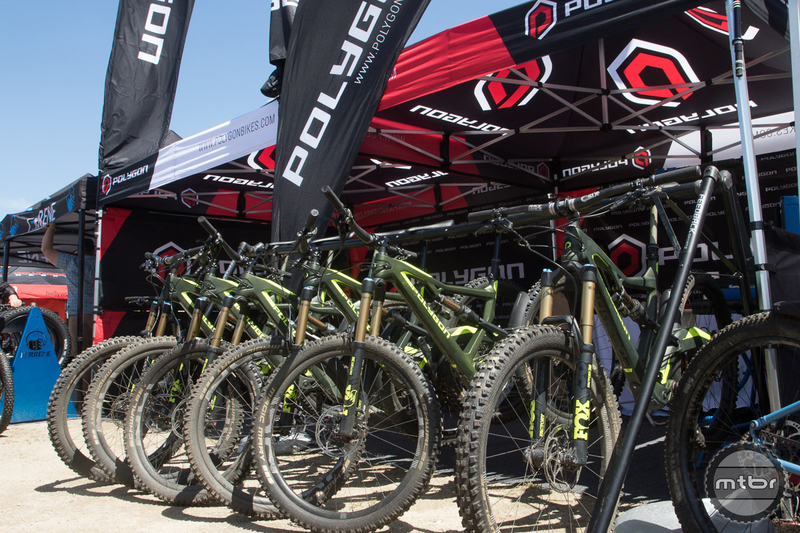 For more information, visit www.polygonbikes.com. Claimed weight is a shade under 30 pounds. Non-driveside view of the highly unique Polygon Square One R3act suspension system. It will be interesting to see what consumer reaction is to the R3act suspension system. Not a believer? If you’re at Sea Otter stop by and take one of these bad boys for a test ride. Polygon Square One bike designer Zendy Renan (left) with R3act-2Play suspension designer Darrell Voss (right).